iPhone series devices are a hit to people all around the world. We pay much attention on iPhone devices and now are especially keep a watchful eye on the next generation iPhone 6s (or maybe iPhone 7)! When will iPhone 6s come to us? What are the new features on iPhone 6s? What does iPhone 6s look like? Are there any comparatively big deviations from former iPhone? Those questions are all catching people’s attentions! Here, we round up everything we know about iPhone 6s, including new feature, image and release date. Keep this page bookmarked, as we'll update it in time with the latest news! When Will iPhone 6s Release? It is said that Apple Corporation will launch the next iPhone (iPhone 7) at an event on 9 September. Judging by Apple's usual timings, this means that the next iPhone will go on sale in the following week on 18 September. However, according to a leaked Vodafone memo, the iPhone 6s will go on sale on 25 September. So, stay tuned! We will update the release date as soon as getting the latest news. What Are iPhone 6s Features? Force Touch is the touch-sensitive display technology which is already available on the Apple Watch and MacBook laptop. Force Touch enables the device to differentiate between a light tap and a longer, harder touch, and react differently to each. E-SIM that means we don’t have to install a physical card to iPhone, but accordingly be an electronic SIM. Although unconfirmed by Apple, the iPhone 6s will be the first smartphone to feature such an E-SIM card and will become the pioneer of an entirely new era of smartphones: without SIM card slots. What is even more exciting is that the device will be carrying a pre-installed Apple SIM. The concept of Apple's SIM card came with the release of the company's iPad Air 2. This reportedly allows users to immediately choose which carrier they want. It examines a patent filed by Apple, which details an iOS home button capable of detecting various gestures along with the force of each touch. In other words, imagine Force Touch, albeit applied to the home button as opposed to the device's display. It should be stated that integrating a home button that can acknowledge the gestures with the force of each touch is an outstanding feature and if it really gets launched that will be remarkable for a new dimension to start in technology products. It is obviously a popular feature that would be greatly welcomed by great number of iPhone users, particularly as the corporation has been criticized in recent years for delivering mobiles with poor battery life. If Apple could make wireless charge, then the convenience and user-friendliness of the device will obviously be vastly improved. When Apple released a new iPhone, then it is almost certain that Apple’s latest smartphone will be equipped with the latest operating system that called iOS 9.
iOS 9 is full of enhancements you’ll appreciate every day. Your apps become more essential. Siri can do more than ever, and new proactive suggestions help you get things done before you ask. What’s more, the improvements at the foundation of the operating system enhance performance, battery life, and security. The more you do with iOS 9, the more you’ll wonder how you ever did without it. How Does iPhone 6s Look Like? According to the hot rumor that Liquid metal could be used, which is stronger than aluminum, so in turn it could make the phone stronger, allowing for a smaller, slimmer device with minimal bezels, while keeping the same screen size. Or alternatively Apple could take advantage of the material to make the screen slightly larger without increasing the overall footprint of the phone. And it is said that the future iPhone 6s will look like as below, are you attracted by it? After reading the above information, do you have a general knowledge of iPhone 6s? 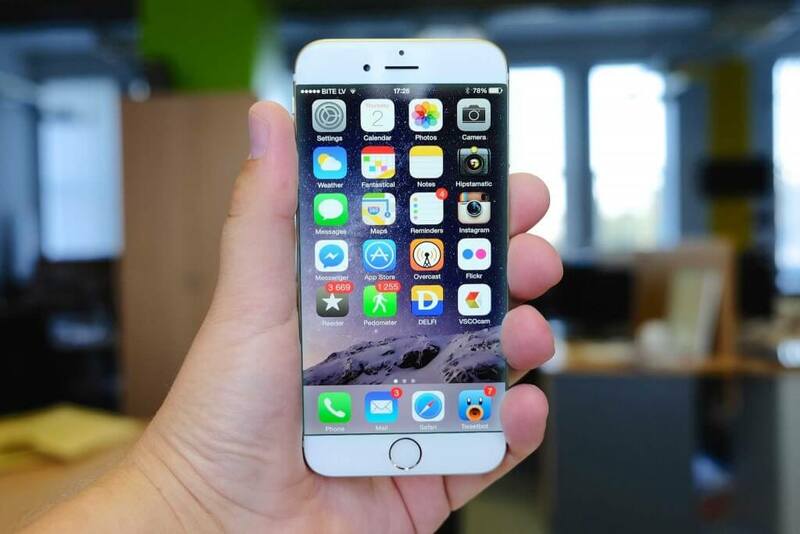 Are you curious or feel excited about iPhone 6s? just keep noticing our articles! We will update the latest news in time!